If you have read my write-ups on my current favorite hotel in Bangkok which is none other than Bangkok Loft Inn, you would know that I had enjoyed the breakfast there. When my friend and I checked into the hotel on the first day, the staff had asked us what we would like for breakfast the next day. 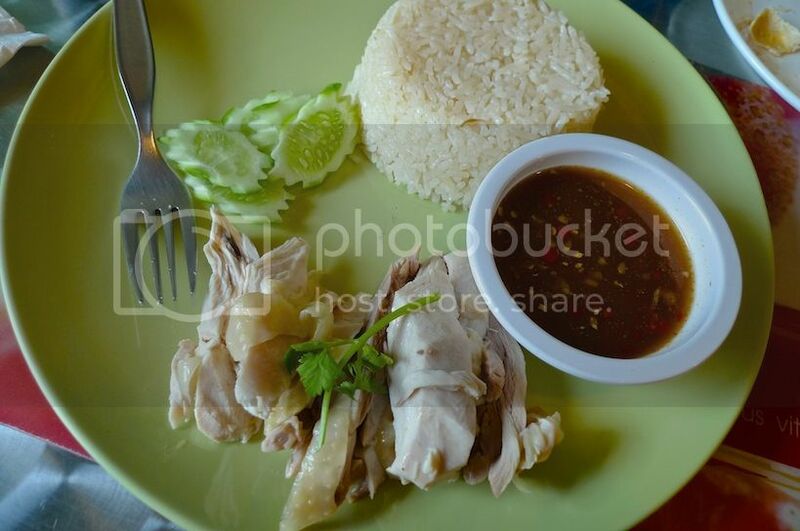 We were provided with a menu list and from there I chose the chicken rice with Thai chili sauce! So this was my first breakfast at the Terrace Restaurant in Bangkok Loft Inn! Although the chicken rice does not look very delicious in the photo above, I can assure you it was really yummy! The Thai chili sauce made all the difference actually - I practically dunked the chicken meat into that bowl of sauce. Yum! 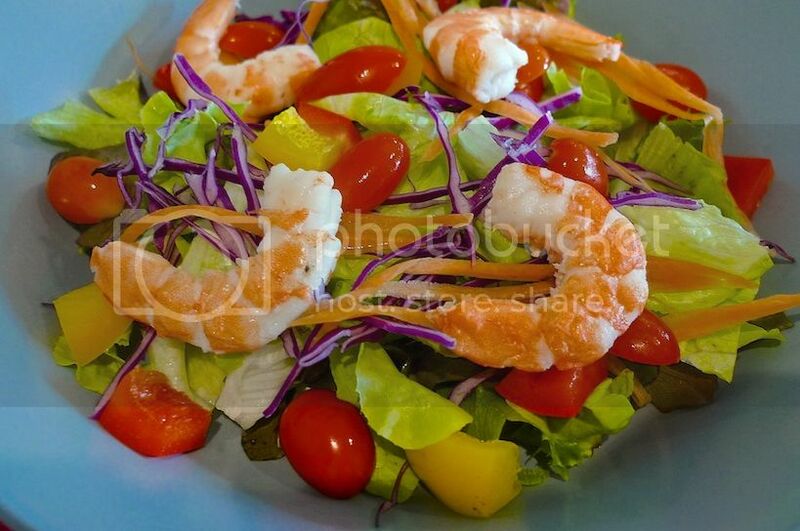 My friend chose the shrimp salad (photo below). He said it was delicious! After breakfast, my friend and I went out the whole day and did not return to the hotel till the late evening. When we went to get our room key at the counter, the staff asked us what we would like to have for breakfast the next day. My friend chose the chicken rice and I decided to choose the shrimp salad! Haha! The shrimp salad was delicious! Could not get enough of it! Well, luckily it was a salad and was not too filling as I was supposed to meet up with Filipino blogger Ishmael Ahab for .... breakfast! LOL! I have to say I enjoyed the fruits at this hotel especially the passion fruits which were in abundance. I ate a lot of the passion fruits as they were quite expensive back in Malaysia. I was not feeling very well on my third morning in Bangkok so I skipped the breakfast that day which was a real pity! 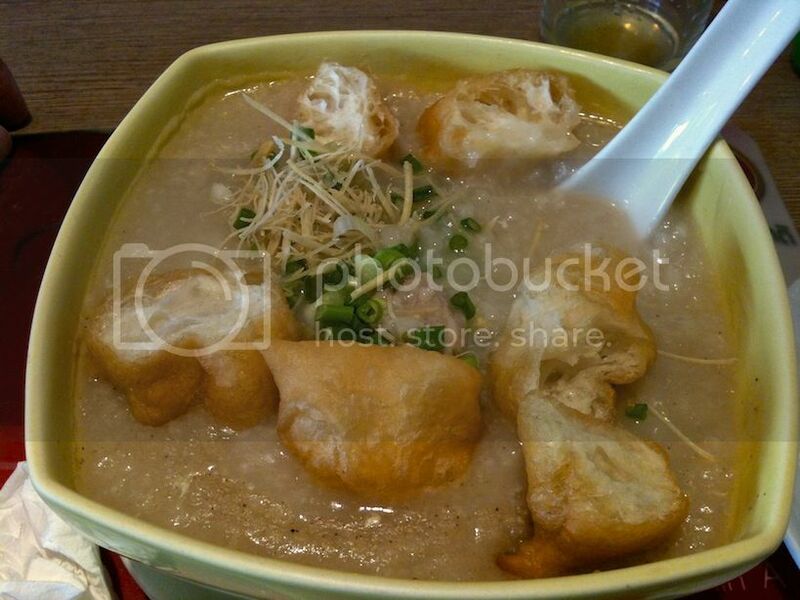 Oh well, my fourth morning was a breakfast of porridge and you tiao (chinese cruller). I really didn't imagine myself to be eating porridge but that's what I ordered! And surprisingly, it was really good! I practically licked the bowl dry! 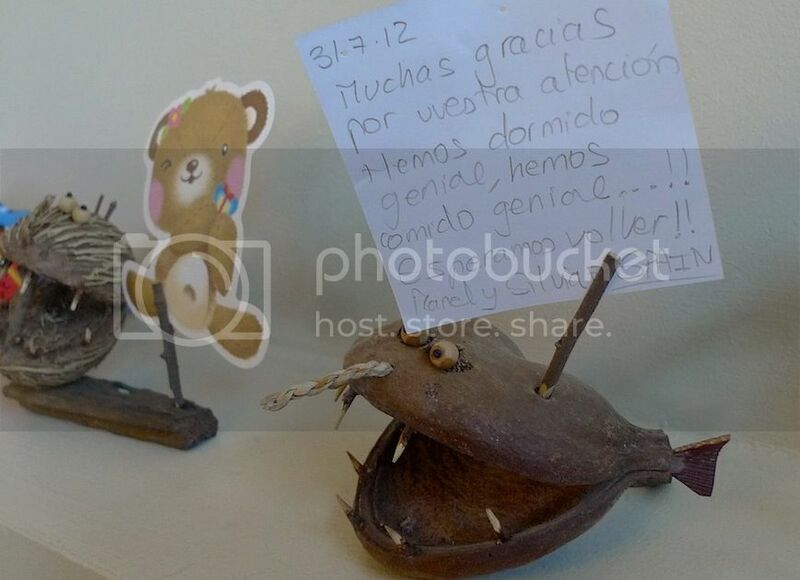 Haha! My friend ate fried rice, I think. I forgot to take a photo of that. Overall, I enjoyed all the breakfast meals a lot at Bangkok Loft Inn. Certainly no regrets staying in this hotel and I highly recommend this place to anyone visiting Bangkok. 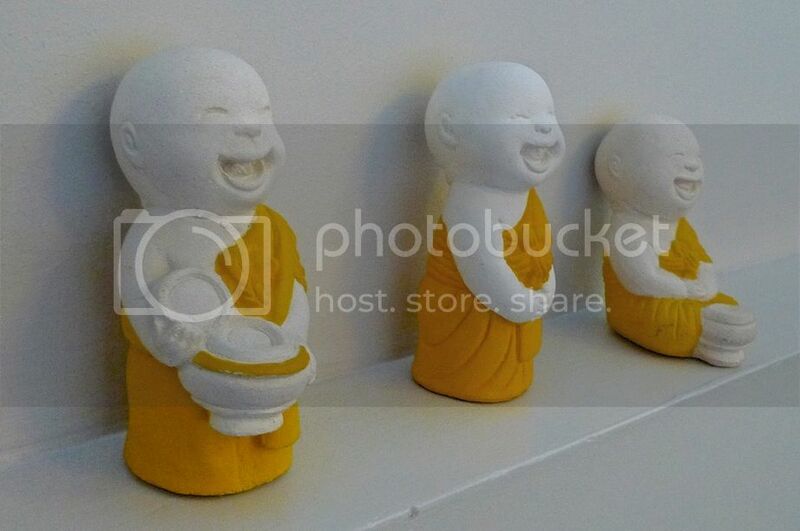 Last January, I visited Bangkok with a friend for a short holiday. It's my 5th time in this lovely city. 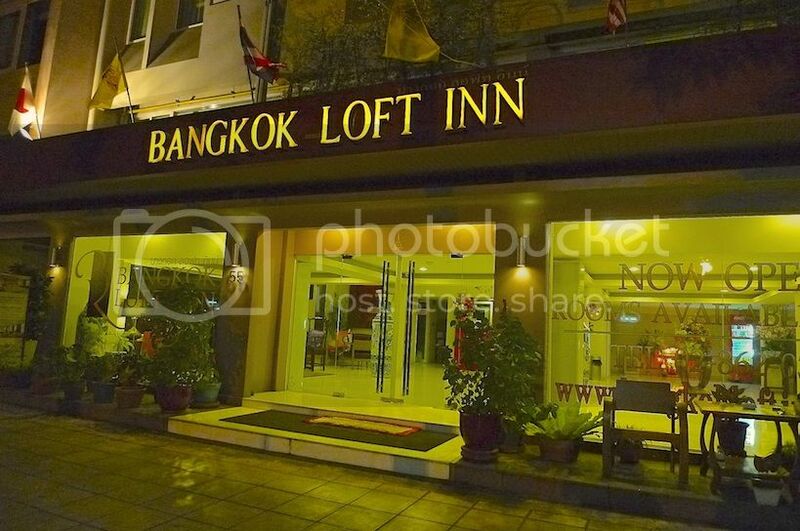 We stayed at a boutique hotel called Bangkok Loft Inn in the Thonburi section of Bangkok. My friend and I took a taxi from Don Mueang International airport to our hotel. It costs us 350 baht (USD11.75 / RM35) and took a little more than an hour to reach. The taxi driver did not know the exact location of the hotel so when he told us we had reached the correct street yet could not find the hotel, I thought we were really lost! Fortunately, a lady who was walking past our taxi saw our predicament and asked where we were heading. When the driver told her the name of the hotel, she smiled and pointed to a building ahead of us. It was less than 100 metres away! And guess what? That lady was one of the staff working in that hotel! LOL! 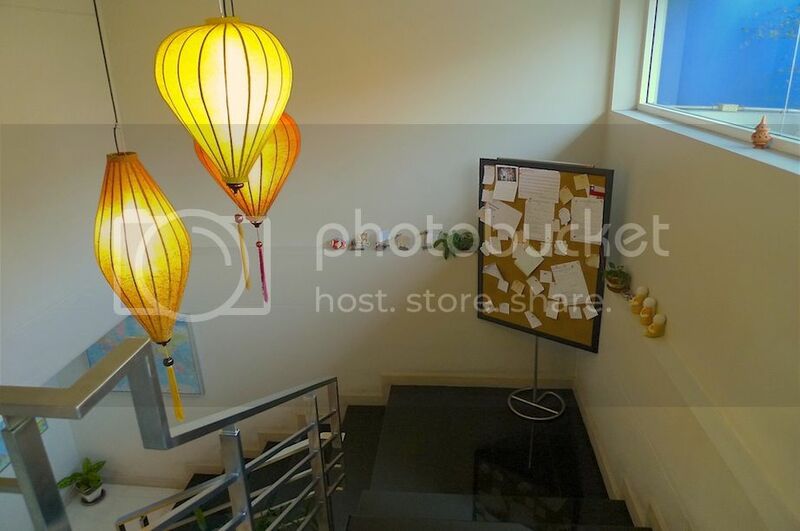 Checking into the Bangkok Loft Inn was a breeze. The hotel staff were helpful and friendly. I really like them! We were each given a welcome drink, which was nice. But what surprised me was that they also gave us a map of Bangkok, and pointed out to us the location of the hotel and the nearest BTS Skytrain station. On top of that, they also gave each of us the hotel's name card so that we could show any taxi driver the address and get back safely to the hotel. 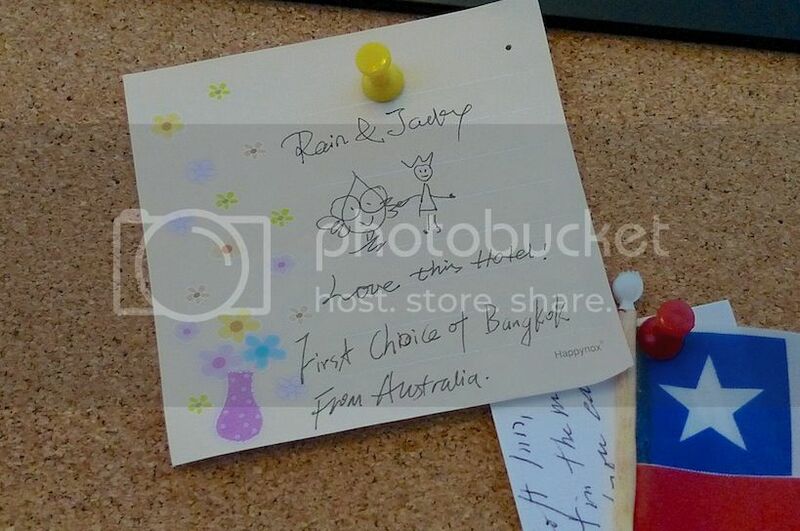 How thoughtful! My hotel room (known as Superior Room) was on the third floor of this 4-storey luxurious boutique hotel. The teak flooring made the room appeared airy and spacious. I was glad to see that flat screen TV! Yay! If you must know, I love watching Thai dramas (despite not understanding a word!) and Thai music videos, so a good flat screen TV is very important! LOL! Read More > I Love Thai TV And Thai MTV! I was satisfied with the amenities in the room. 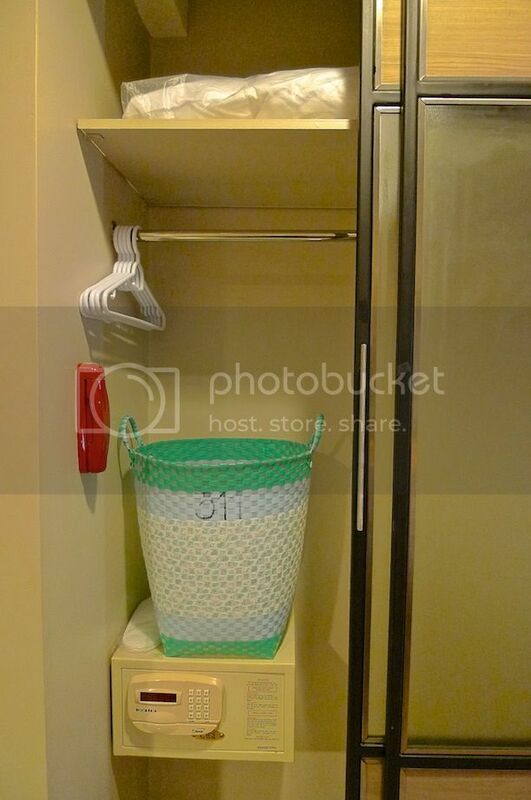 There were extra pillows, a laundry basket, clothes hangers and an in-room safe. There's a working table and a leather sofa too. The view of the room from the working table. The view of the room while sitting at the leather sofa. And the view of the 32-inch flat screen cable TV while lying on the comfortable Double Bed. 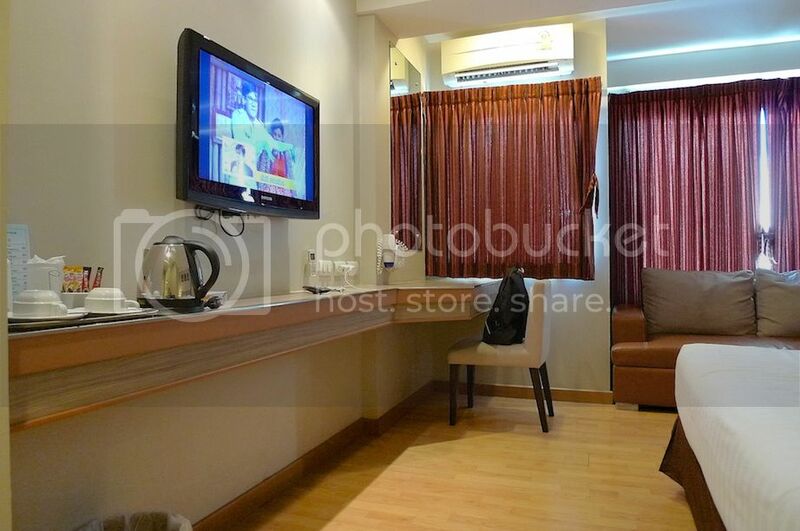 I got to tell you that I enjoyed watching TV - all the Thai dramas and Thai music videos - every night in my hotel room till the wee hours of the morning! Haha! 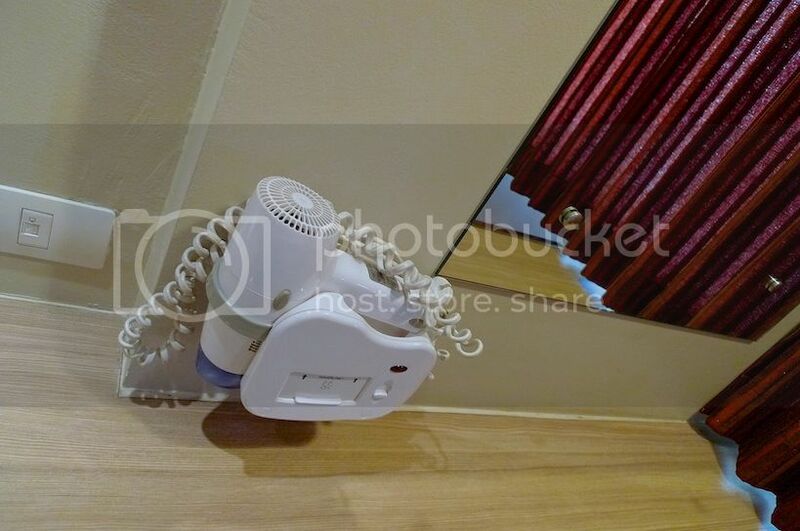 I also like that they provide a hair dryer outside the bathroom. The switches and sockets. 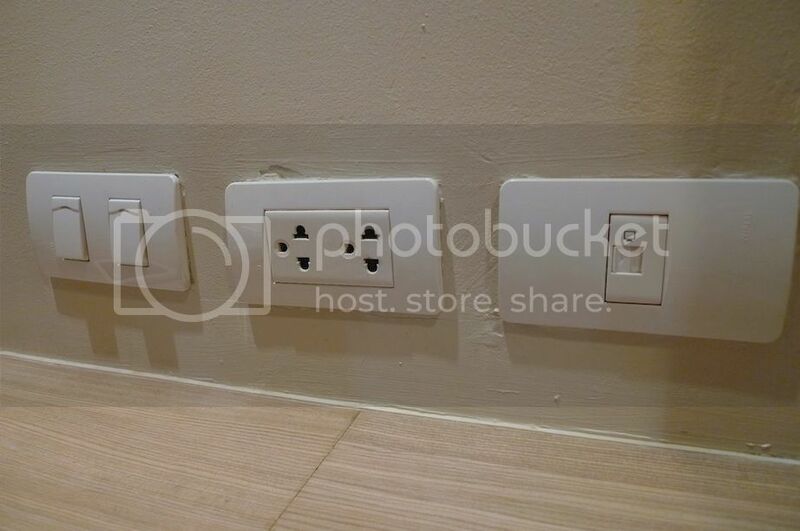 Thailand uses a different kind of sockets (compared to Malaysia) so make sure you bring a Universal Travel Adaptor when you visit Bangkok! Water boiler and coffee maker. 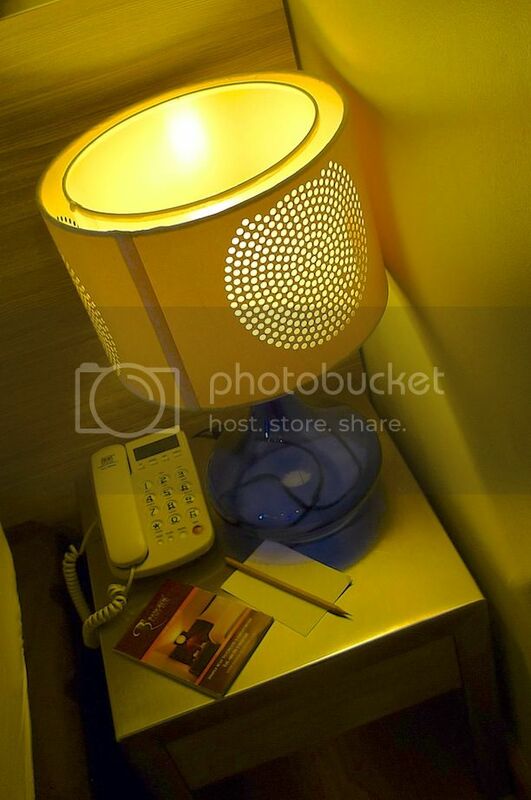 Small bedside table where the telephone and notepad were placed. 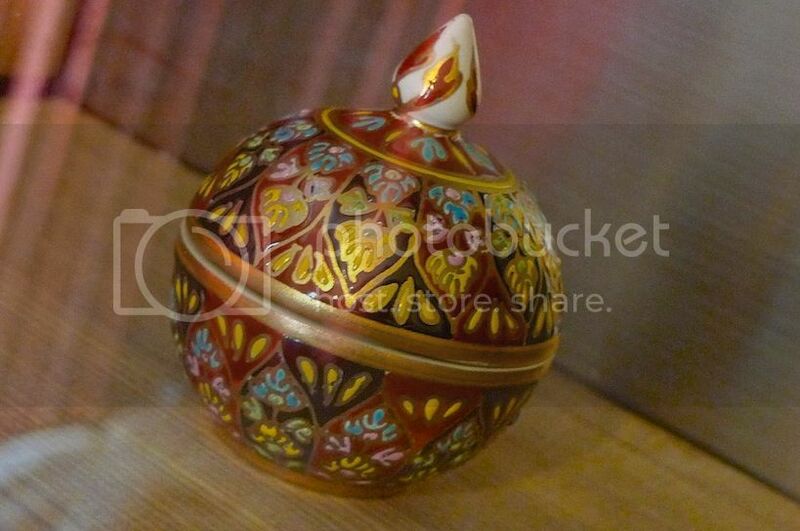 I found some interesting decorative items inside that small glass cabinet on the wall above the leather sofa. 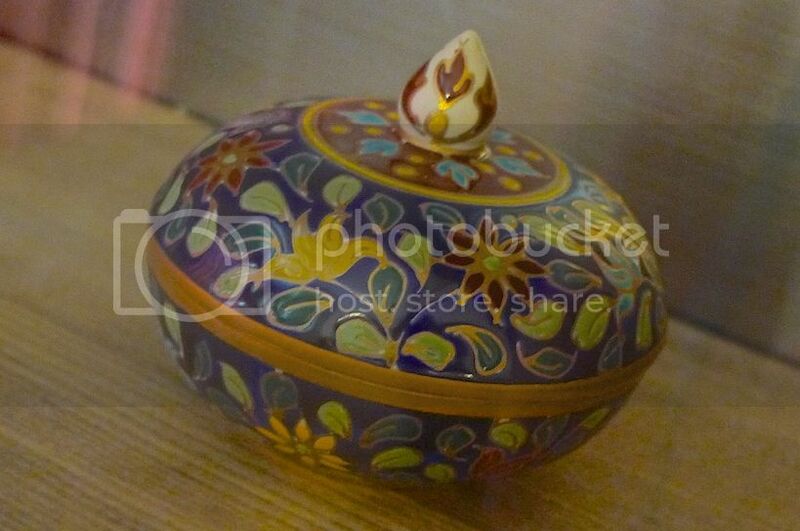 These were the items inside the glass cabinet. I wish I could take them home with me! 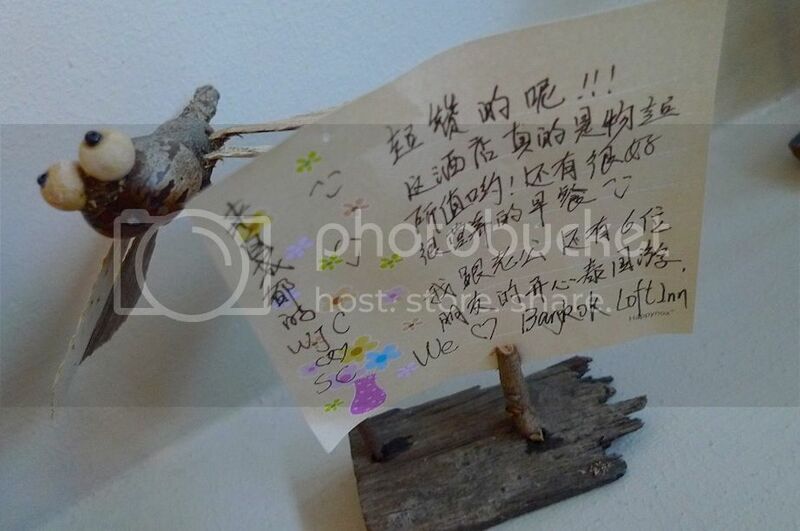 I like the design of the lamp stand and the three pictures hanging on the wall above the bed. 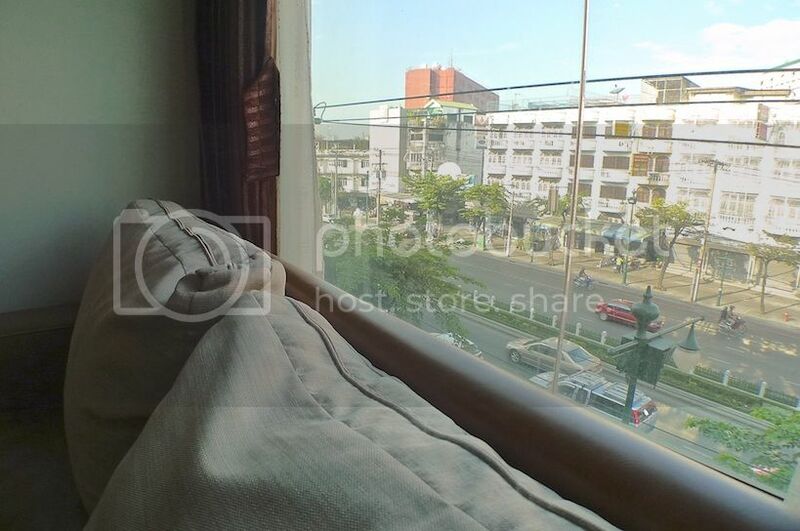 Opening the curtain behind the leather sofa, I could get a nice view of the streets outside. Although it would be nicer if the hotel was taller and not limited to just 4 storeys high. Would be nice staying at a higher floor and have a bird's eye view of Bangkok city. 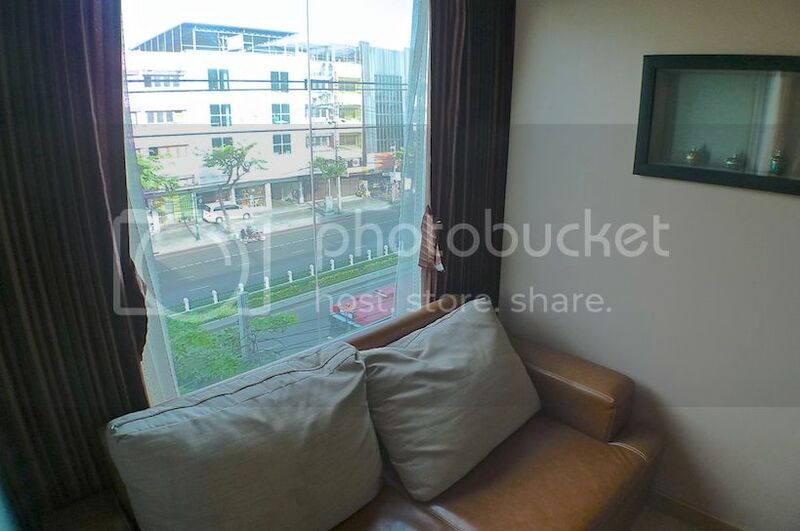 During this trip, I had actually spent some time sitting on this sofa by the window and enjoyed myself reading a good book with a cup of hot coffee. Simply love it! 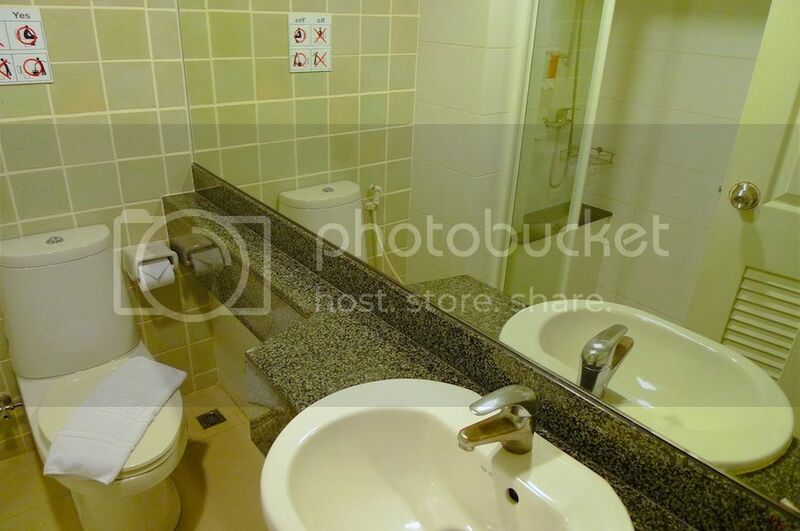 One of the most important aspect of a hotel room is its bathroom and toilet. For me, it must be clean and everything should be in good working condition. 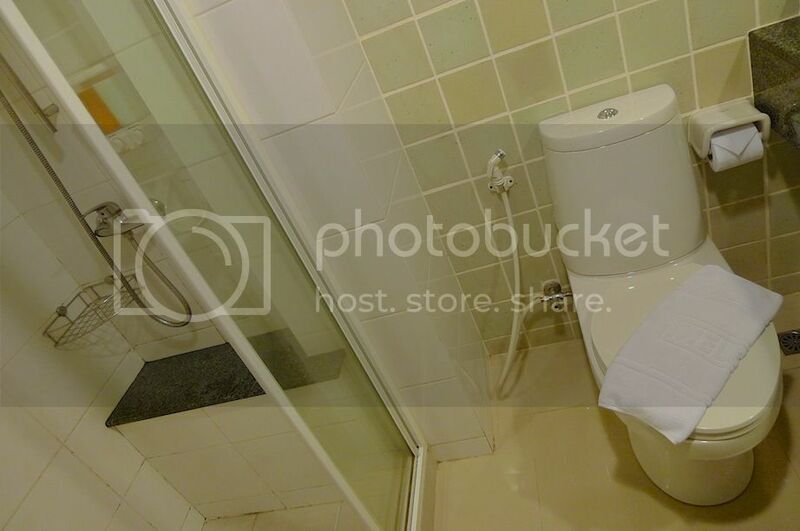 I am pleased to say the bathroom in Bangkok Loft Inn was excellent! It was clean and tidy. The bath towels were clean. And I like that there's a separate cubicle for shower. 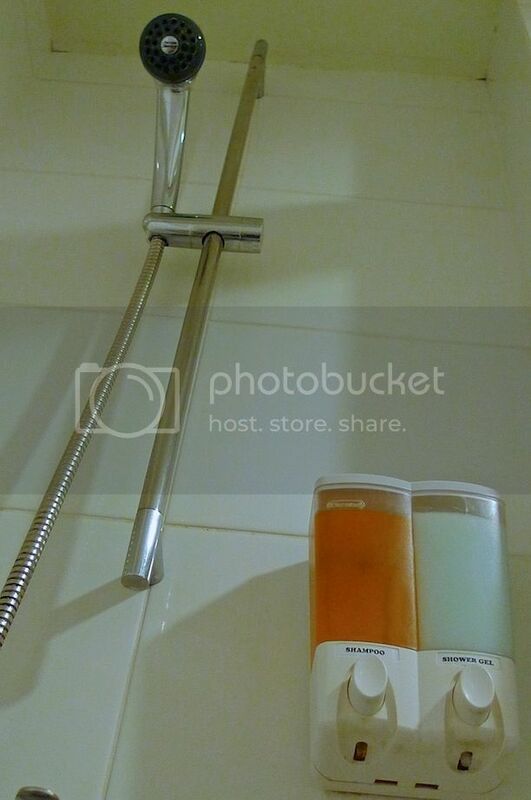 Too bad they did not provide rainforest shower head - that would have made it perfect! An illustration on the wall to educate hotel guests. 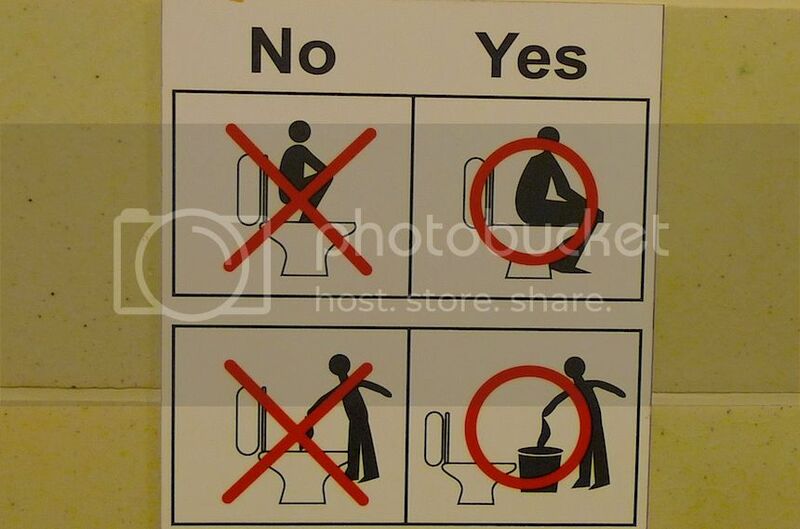 I hope no guests would squat with their two feet on top of the toilet bowl - a big NO NO to me!! 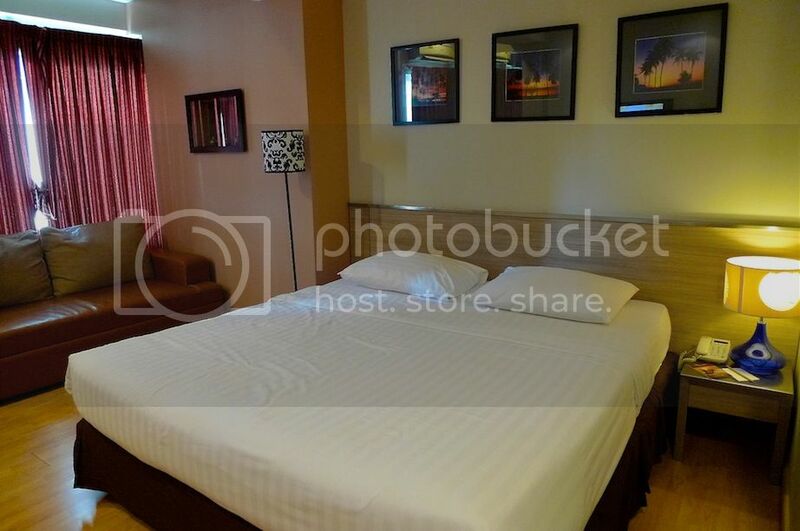 By the way, all the rooms in Bangkok Loft Inn are wi-fi enabled. I found the hi-speed Internet access to be very reliable. It did not fail me during my 4 nights stay - surely another plus point for this hotel! 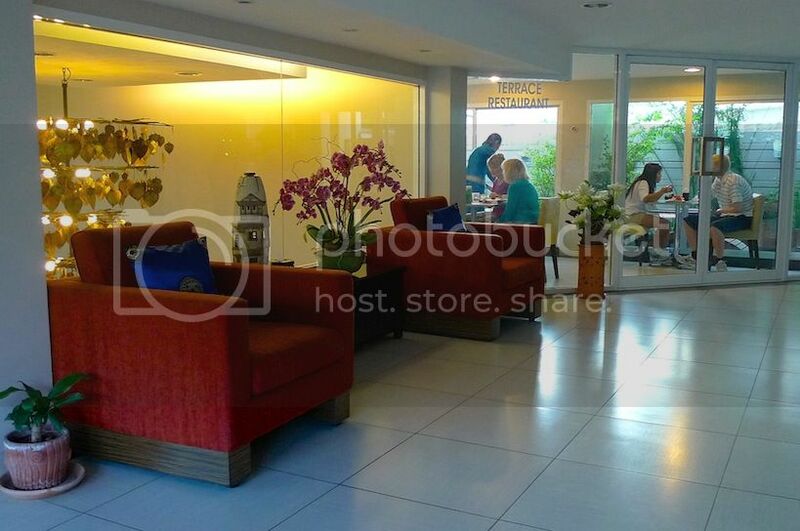 Bangkok Loft Inn also serves surprisingly delicious breakfasts at its Terrace Restaurant on the first floor. My stay includes complimentary breakfasts which I enjoyed very much! This is the area outside the Terrace Restaurant. Going down the stairs, I saw a notice board and decided to check it out. 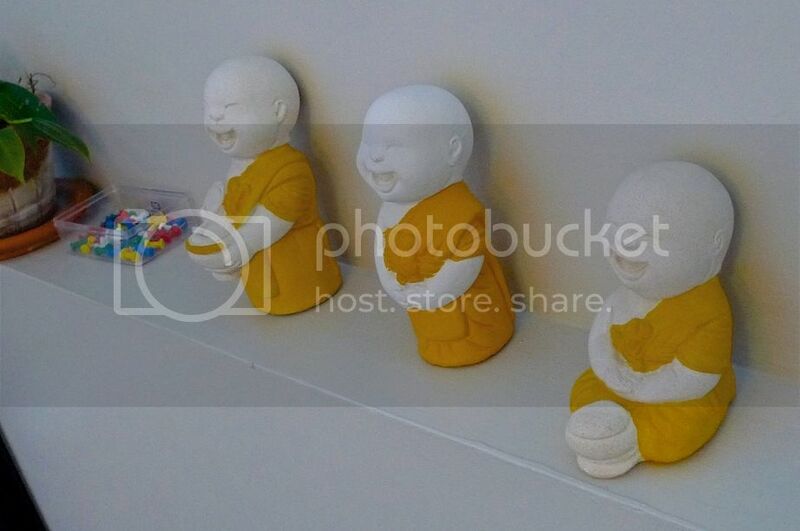 Three cute monks in orange robes beside the wall. 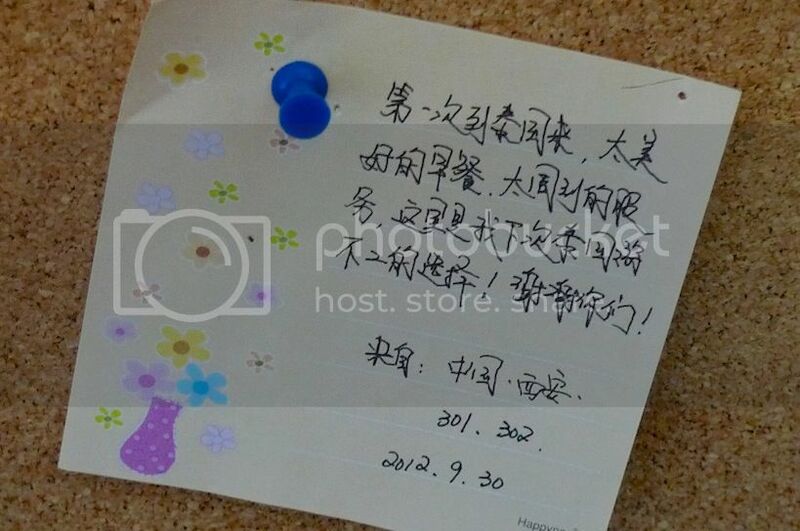 On the notice board, a warning message stood out. 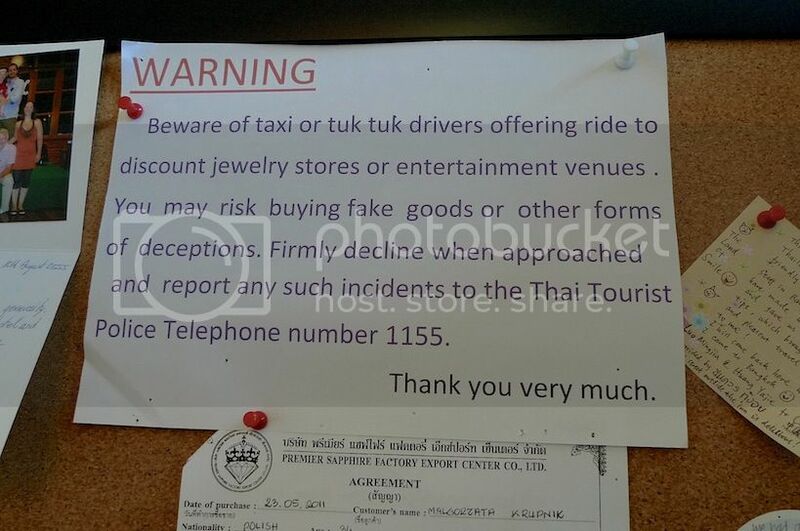 This is a very good warning to all guests and tourists especially if you are a first timer to Bangkok. The practice of tuk tuk drivers offering cheap rides to discounted jewelry stores are pretty common in Bangkok. If you are offered one, please decline or risk being taken for a ride! 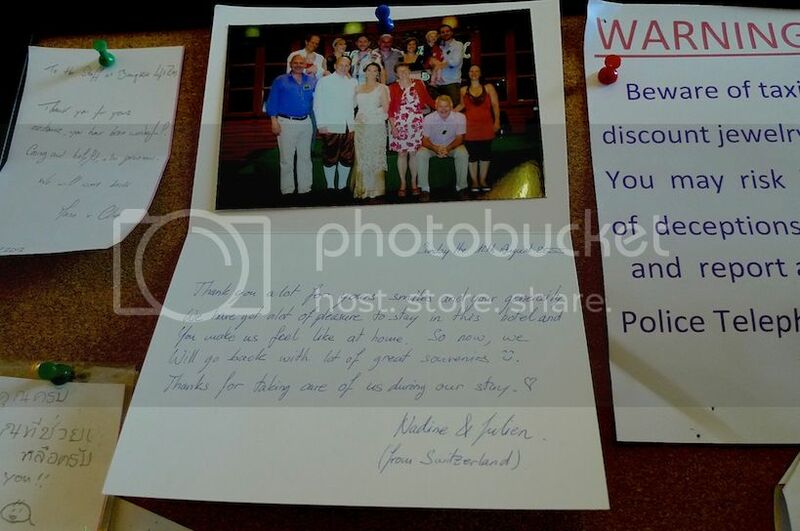 Other than the warning message, the board was completely inundated with thank you letters and postcards from guests who have enjoyed their stay in this hotel. Take a look at some of them! 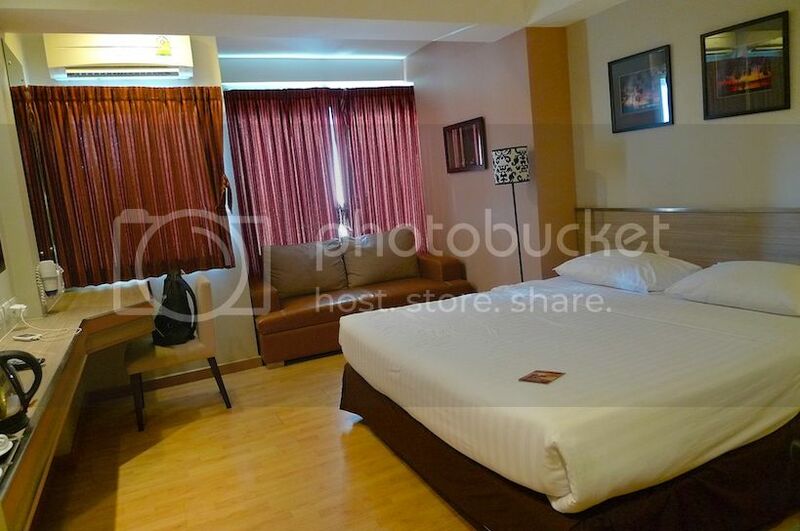 I booked this hotel room via Agoda at the price of RM520 (USD172.50) for a 5D/4N stay (inclusive of breakfast) which works out to RM130 (USD43.10) per night. 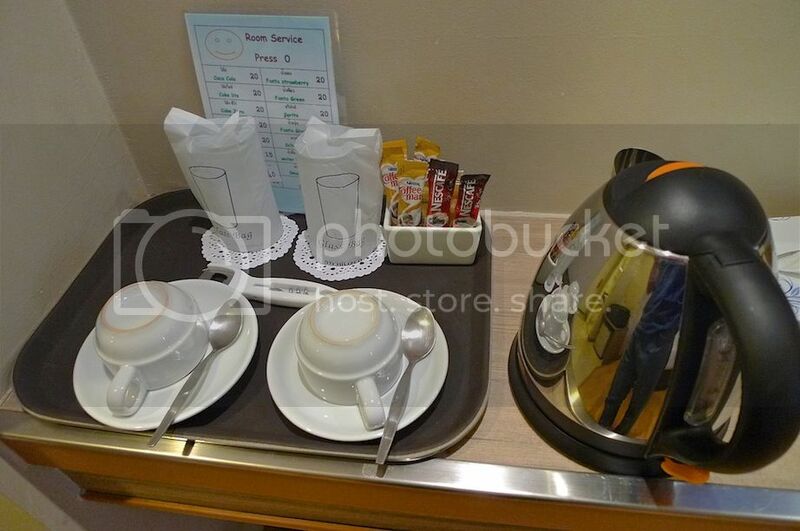 With its friendly customer service, lovely room and clean bathroom, reliable hi-speed Internet access, PLUS its delicious breakfast, the price I paid was totally worth it! The only problem could be its location which is a bit far from tourist hotspots like Silom and Sukhumvit. However, it's just 5 minutes walk to Wongwian Yai BTS Skytrain Station so getting around in Bangkok is not really a problem. 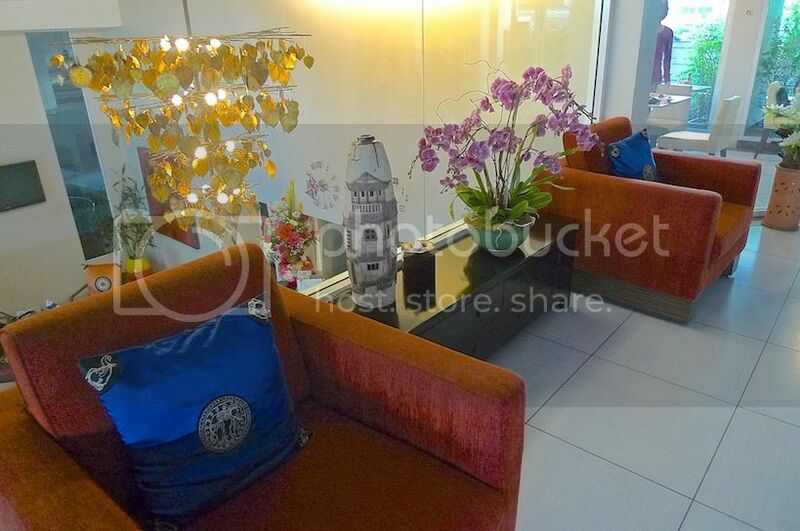 Besides, it's just 2 stations away from Saphan Taksin Pier where you can take a boat to all the tourist spots like Wat Arun, Grand Palace and Chinatown. 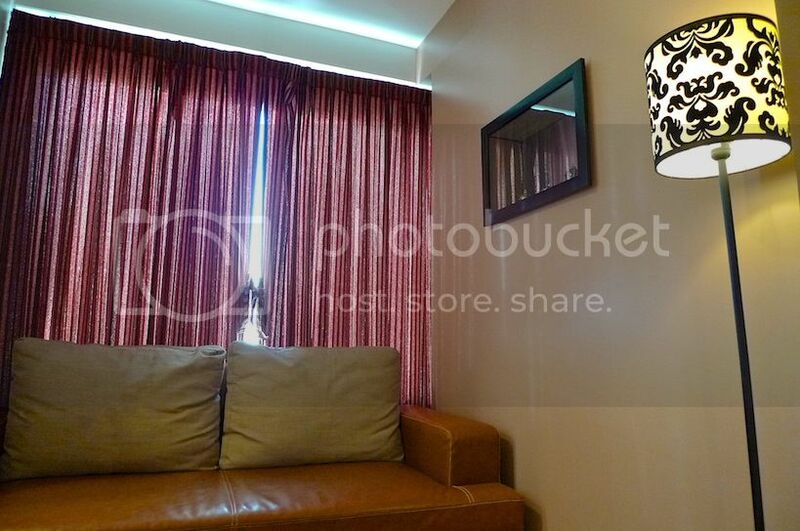 Overall, I highly recommend Bangkok Loft Inn - currently my favorite hotel in Bangkok! Last January I flew to Bangkok for a short holiday with a friend. I can almost hear some of you loyal readers shouting out loud "Again?!!" In fact, this must be my 5th time holidaying in Bangkok. I am not sure why, but I just don't seem to get tired of this city. There are always new things to discover and I have enjoyed every single one of my trips there. 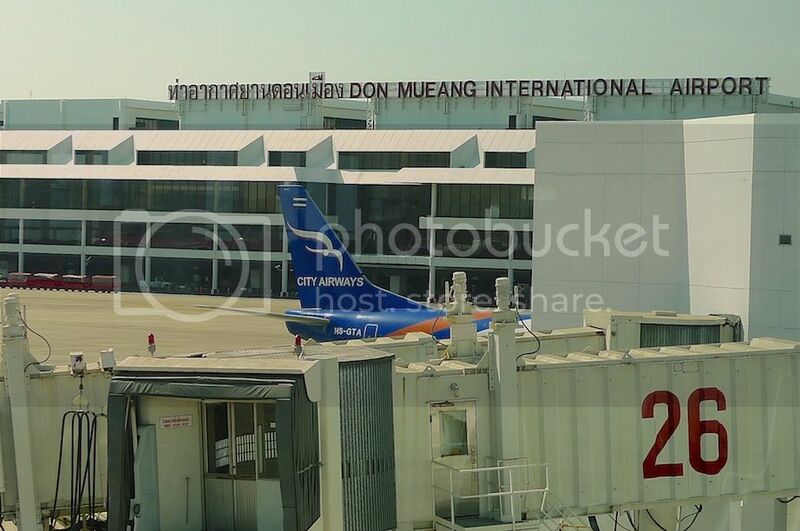 Only this time, instead of landing at my favorite Suvarnabhumi International Airport, my AirAsia flight had diverted to the older and much smaller Don Mueang International Airport. 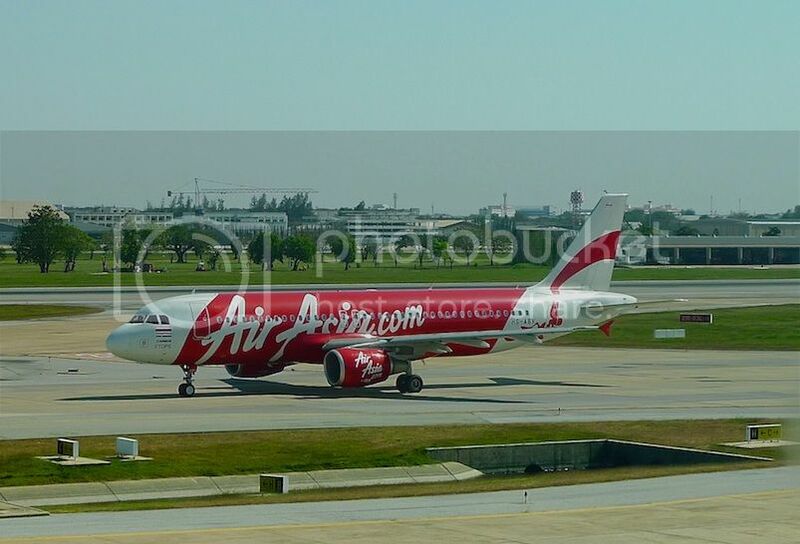 In case you didn't know, AirAsia had moved all flight operations from Suvarnabhumi to Don Mueang since October 1st, 2012. However, I was quite pleased that there were less crowd at Don Mueang, although I must say it was quite annoying to find our luggage coming out from another conveyor belt instead of the one where we were supposed to wait! Not very efficient eh? But wait! I have jumped the line. There's something I wanted to tell you regarding my flight with AirAsia. While boarding the plane to Bangkok at LCCT in Malaysia, the male flight attendant asked me to place my backpack in the luggage compartment above the seats. I was surprised as I have flown with AirAsia so many times, and this is the first time I was asked to do such a thing. I told him that I have always placed my backpack on the floor under the seat in front. He told me that was against the rules. No bags allowed on the floor. Really? Since when? Besides, my backpack was not large and long like a backpacker's backpack if you know what I mean. It's just like a children's school bag! Can you see my backpack on the chair in the picture below? 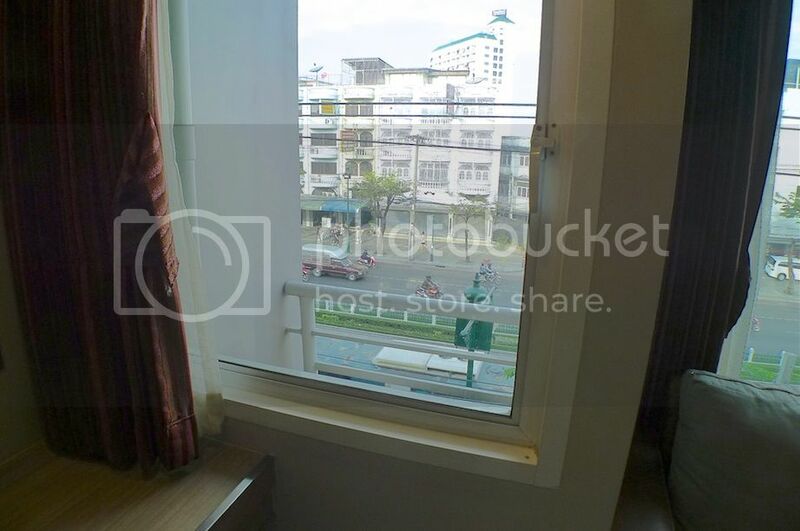 Oh by the way, that's the picture of my hotel room in Bangkok. 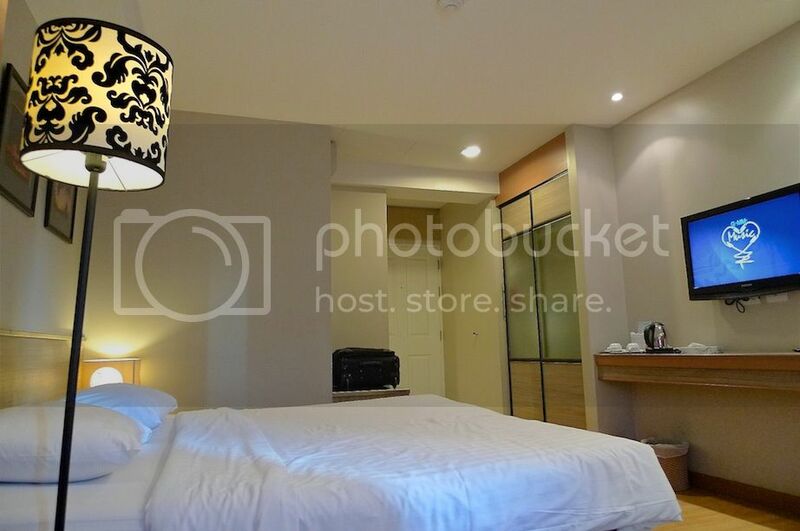 The hotel is a boutique hotel by the name of Bangkok Loft Inn and it's one of the best hotels in that price range that I have ever stayed in Bangkok. More about this hotel in my next post. Back to my story. I was adamant in NOT placing my backpack in the luggage compartment. The flight steward insisted that I do as he asked. I refused. Deadlock. He was a bit irritated. I was furious. But I kept smiling and so did he. Although I was sure he could see the fakeness in my smile as clearly as I saw the fakeness in his. In the end, the customer won. Hah! Now tell me, dear readers, did I do anything wrong? If I did, why was I allowed to place my backpack on the floor under the seats every time I flew in an AirAsia plane? Or did they just change the rules? Anyway, upon landing at Don Mueang International Airport, my friend and I took a taxi to our hotel. The only problem was, the taxi driver did not seem quite sure where exactly our hotel was located. 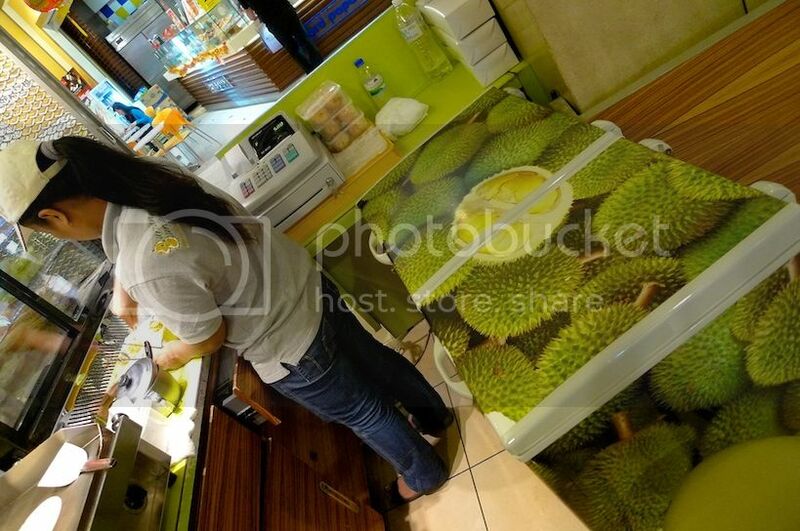 I love durians!! Do you? 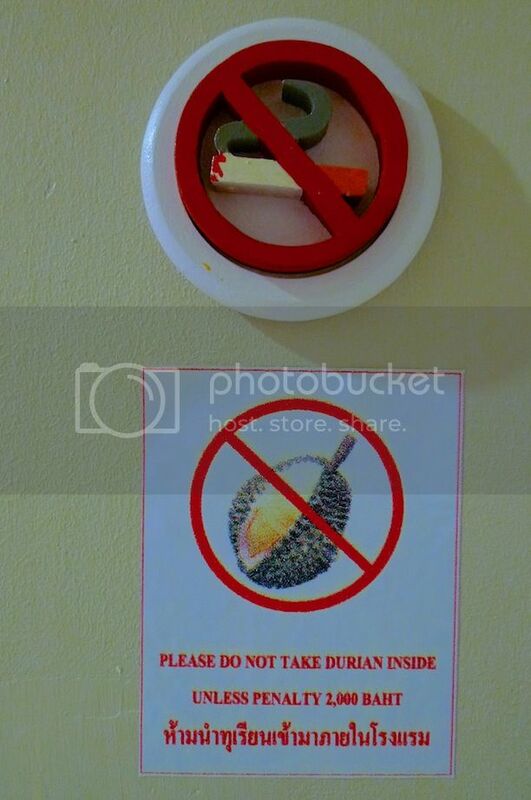 Billed as The King Of Fruits, durians are banned in most hotels and airplanes due to its strong smell. Which is a pity because I like both the smell and taste of a durian! Haha! Although eating the durian fruit itself is the best way to enjoy this King Of Fruits, I do not mind eating it in other forms like in cakes, ice creams and desserts. 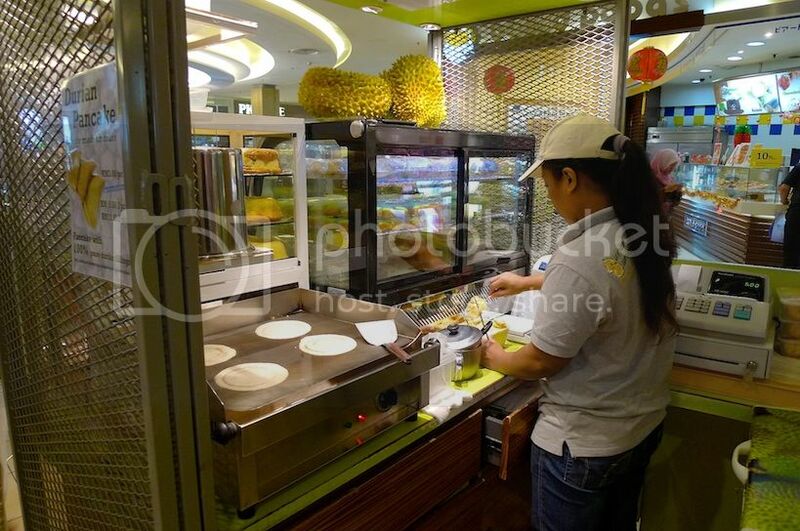 Did you know that there is this stall or kiosk in Mid Valley Megamall that sells durian pancakes? Located at the Lower Ground floor near the KFC restaurant, it sells other durian products too, but I was mainly attracted to its durian pancakes. 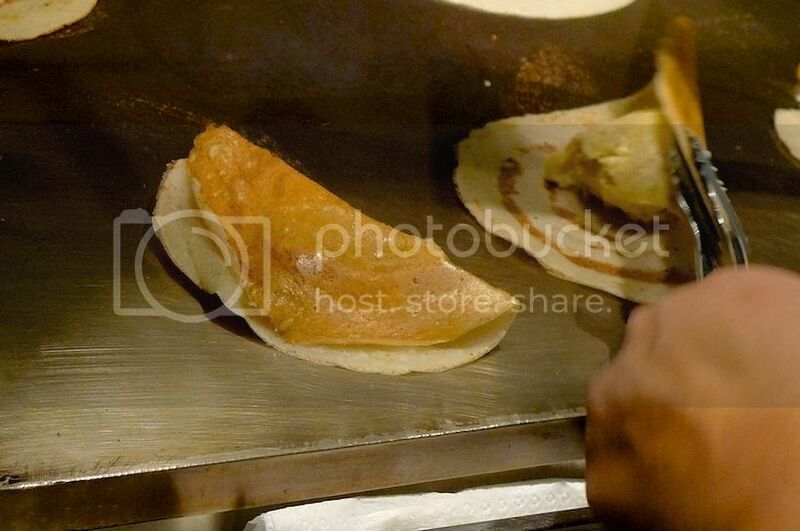 The durian pancakes are made fresh on the spot. They are sold at RM3 per piece. 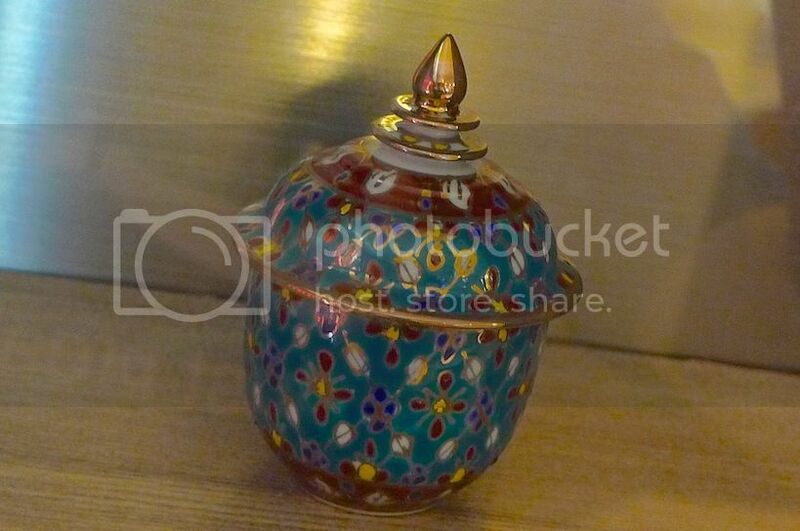 However, the price is slightly reduced if you order more - RM5.50 for 2 pieces and RM12.50 for 5 pieces. First, the pancake skin was made. 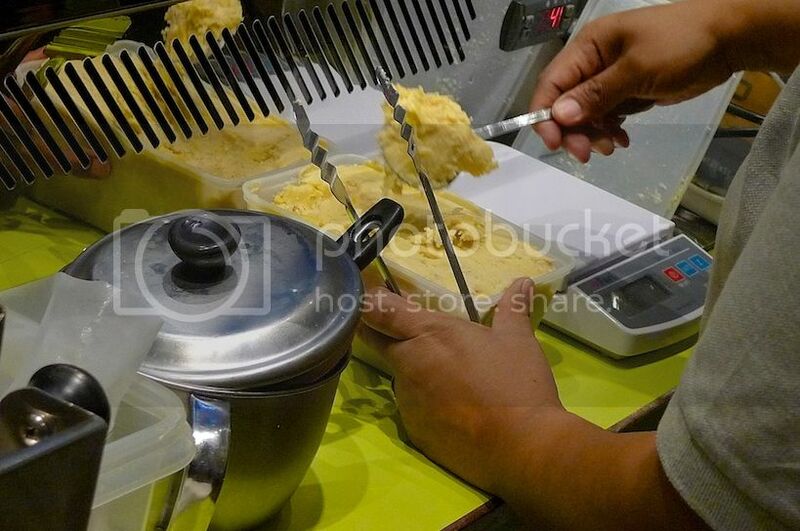 Then frozen durian creams were scooped up and weighed. 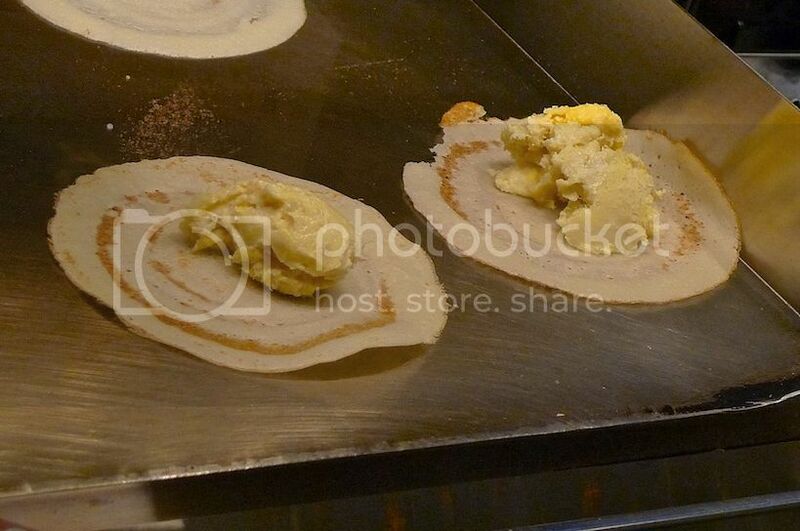 The durian creams were placed on the cooked pancakes. 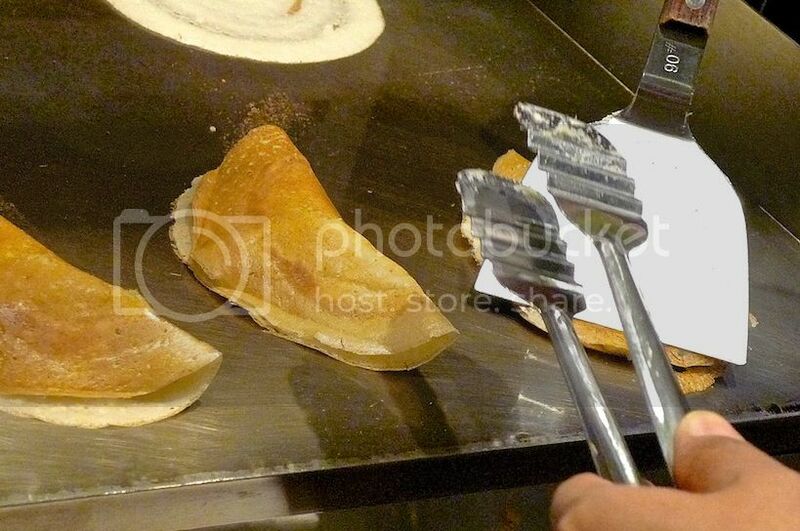 Then the pancakes were folded up neatly. And pressed to lock in the durian fillings. 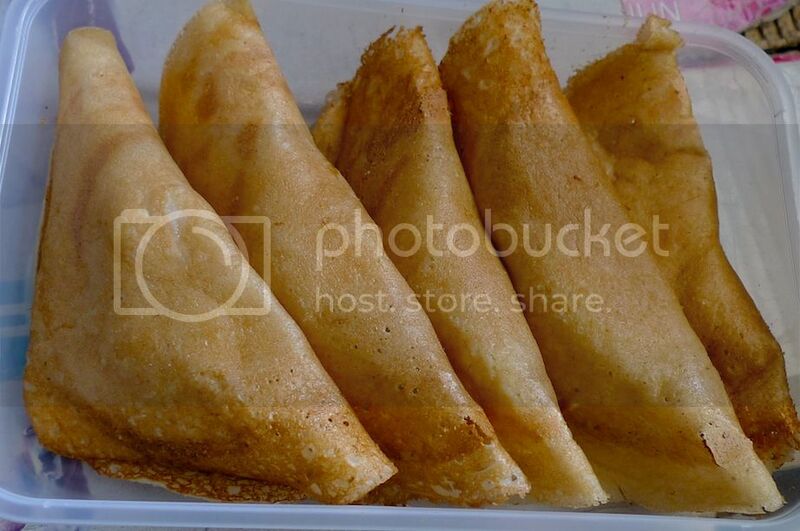 My 5 durian pancakes were then placed in a plastic box ready to be eaten. All done in less than 5 minutes! I immediately took one bite. 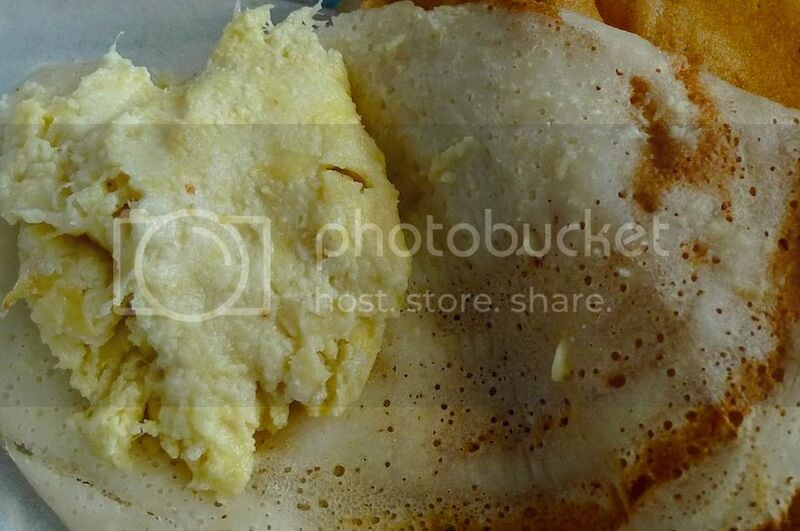 The cold, 100% pure durian fillings contrasted nicely with the hot and crispy pancake. Yummy! I ate 2 pancakes on the spot and took the remaining home. When I reached home, I found the pancake skin had already turned soft but it still tasted good, although eating it fresh was better.